Janelle In Real Life: it's hard to get dressed. it's hard to get dressed. It's really hard to get dressed sometimes. This blog is more or less focused on fashion, so I should really address the lack of fashion that's been going on here lately! When you're always nauseous and throwing up, it's hard to get dressed. I don't feel like wearing tight pants and my cutest top when I'm barfing my guts out. What I feel like wearing is my husband's basketball shorts and an oversized t-shirt. When I'm so tired that a mid-day 2 hour nap is required (in addition to the 8-9 hours I already got at night), it's hard to get dressed. When it takes every bit of energy I have to take care of my toddler and if I'm lucky get a shower in, getting dressed get's put on the back burner for a while. The first t-shirt and elastic-waist bottoms I find are what go on my body. When my belly is ever-expanding, it's hard to get dressed. One day, those cute denim shorts fit and the next day... they do not. the struggle is real. If I'm able to finagle some jeans of some kind onto my body, the problem then becomes, "do these make me look like I've eaten too many donuts today, or do I actually look acceptably pregnant?" If I feel like I'm looking like a fatty in pants & a shirt, I move on to the dresses. Oh dresses! Perfect for when you're pregnant, right? Except that my dresses, which are built for a non-pregnant body, will cut me off at what used to be my natural waist and the smallest part of my torso. Not so anymore! Now you just have a really awkward looking waistline. If that's not the problem, then it's the belly pulling the skirt hemline so far up that a knee length dress has become a mini skirt! Gasp! When your pregnant resting temperature is 100 degrees, it's hard to get dressed. For some reason, my body gets super hot when pregnant. And putting on actual clothes sounds like a horrible idea! The thinnest, cotton-iest tee and some breezy shorts sound like an ideal outfit at this point. Better yet, no clothes sounds really great. And this is why it's been kind of hard producing outfit posts lately. I'm not telling you guys this to make you feel bad for me (because can anyone say #firstworldproblems?) but to provide a little humor to this weird time in my life. And hopefully some of you can relate in one way or another, whether you've experienced pregnancy or not! Everyone has days when getting dressed is hard. I'm now in my 17th week and not feeling quite as sick as in my first trimester, so yay for that! And I've finally invested in a few maternity pieces for comfort's sake. I'll be posting outfits soon! But for now, enjoy this little bit of my real life. I hear ya girl! That's how I've felt with my pregnancy! The worst part is that on the days that you feel somewhat put together there isn't any energy left over to take outfit photos! 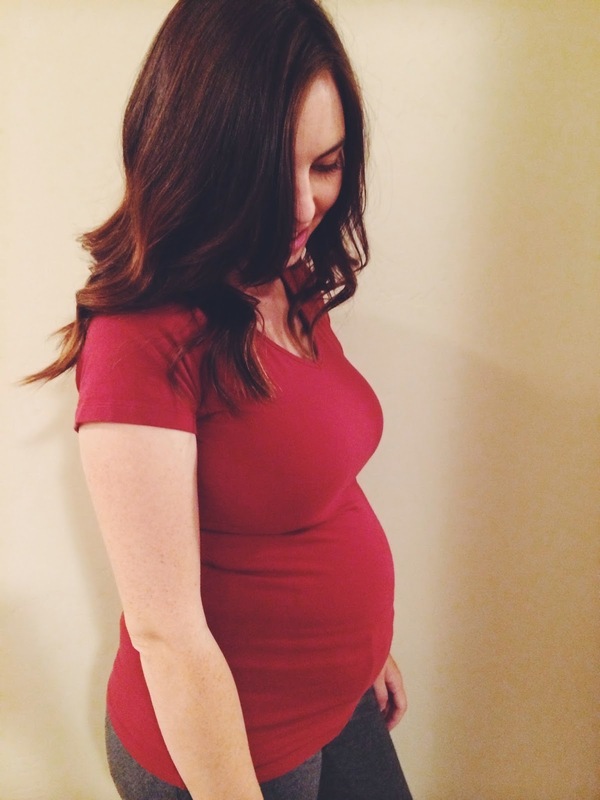 It's a rough life being a pregnant fashion blogger! I hope your sickness goes away soon. I've always thought pregnant people are always so cute in their cute pregnant clothes but after hearing seeing how my sister struggled with getting dressed while she was prego this summer, I've realize how much of a bummer it must be to not be able to wear all your clothes! And I hate the summer heat as it is so I can't even imagine how hot it muct feel when you're pregnant. You still look fab! :) I hope you get to feeling better soon! I'm right there with ya. Well, maybe not the same symptoms per se, but in the same boat with the clothes. So TOUGH!! Cant wait to see your maternity finds and follow the fun of pregnancy with you. Ohhhh the joys of being pregnant with a toddler! Hopefully the second trimester starts treating you better reallllly soon.